On March 15th, BVCHD in collaboration with Andy Meadors Branding was awarded an Inland Empire Chapter ADDY award for our “Be Well” marketing campaign. 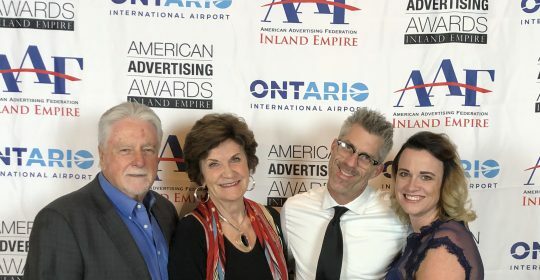 Per the American Advertising Federation Inland Empire, the top advertising in the region was honored by AAF Inland Empire at the Mission Inn, with a dinner and awards ceremony that featured the Inland Empire’s best work in advertising. The program included both a student program as well as a professional category. According to AAF Inland Empire’s website, The American Advertising Awards Inland Empire Competition is part of the national American Advertising Awards, the world’s largest advertising competition with about 40,000 professional entries in almost 500 local competitions and about 5,000 student entries.